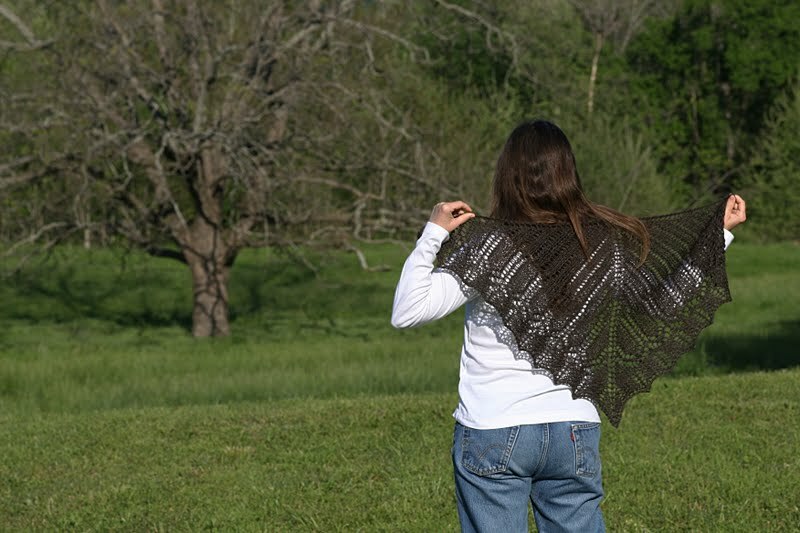 Monarch Shawl – Released for Migration! The Monarch Butterfly, Danaus plexippus, is perhaps the most famous butterfly in North America or even the world. These amazing creatures migrate northward up to 3000 miles each spring after spending their winters in Mexico or California. Great clusters of them can be seen during the migration period, entire trees can be covered with their cinnamon, orange, and gold wings providing a most amazing sight. There are many unknowns about the Monarch’s migration process because the individuals never make the full round trip. It is their children’s grandchildren that return. This shawl’s pattern was influenced by the Monarch’s wings. Should the completed shawl be worn by you for awhile and then passed on to a child or grandchild, well, that would seem appropriate, too. Original Design was knit in Lost City Knits Llama Bamboo Sport, natural colorway. A second has been knit (but not yet photographed) in Lost City Knits Llama Bamboo Red Dirt Roads, and Extra Virgin colorway. Materials Needed: 220 yards/201 meters of sport weight yarn. Size 7 US/ 4.5 mm circular needle. Four Stitch markers. 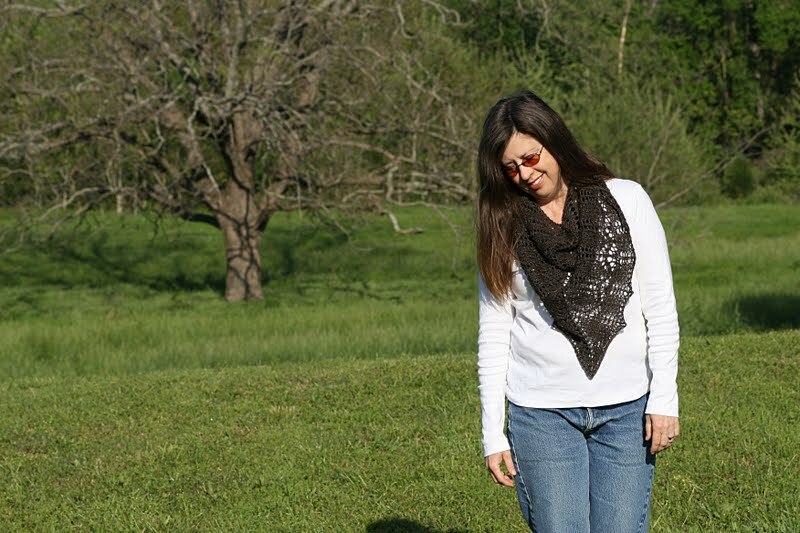 The Monarch Shawl pattern is now available in the LCK Pattern Shop as a FREE download! Happy Knitting and Happy Butterfly Watching! 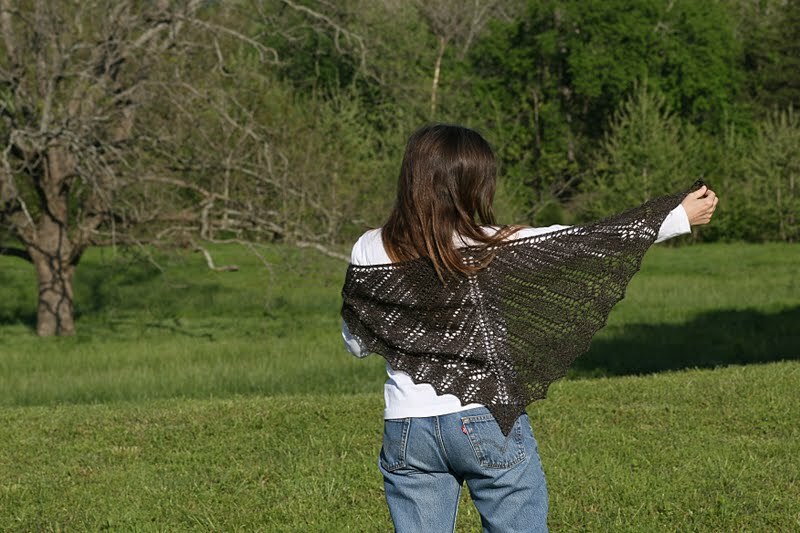 ps if you knit a Monarch Shawl – we appreciate your linking it in Ravelry! Dear Knitters – please accept my apologies but there were several errors on the Written Directions. No changes have been made to the charts. A new version with Written Direction corrections has been uploaded. Please be sure you have downloaded Monarch Shawl, v1.1 if you are using the Written Directions. 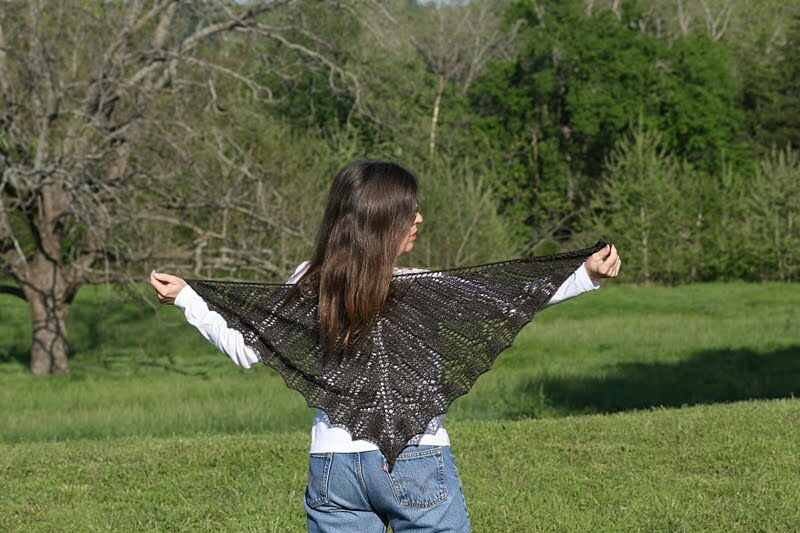 This entry was posted in lace, Monarch Shawl, Oklahoma Fiber by lostcityknits. Bookmark the permalink. Lovely – this might end up being my aunt's wedding shawl! It seems like you're releasing patterns left and right lately. Good job! It's beautiful.